Fillmore County (pop. 20,866) was named for Millard Fillmore, the 13th president of the United States. The only other Fillmore County is in Nebraska. The county, along Minnesota’s southern border with Iowa, has only one stoplight – in the city of Chatfield (pop. 2,779), which is partly in Olmsted County. The county seat of Fillmore County is Preston (pop. 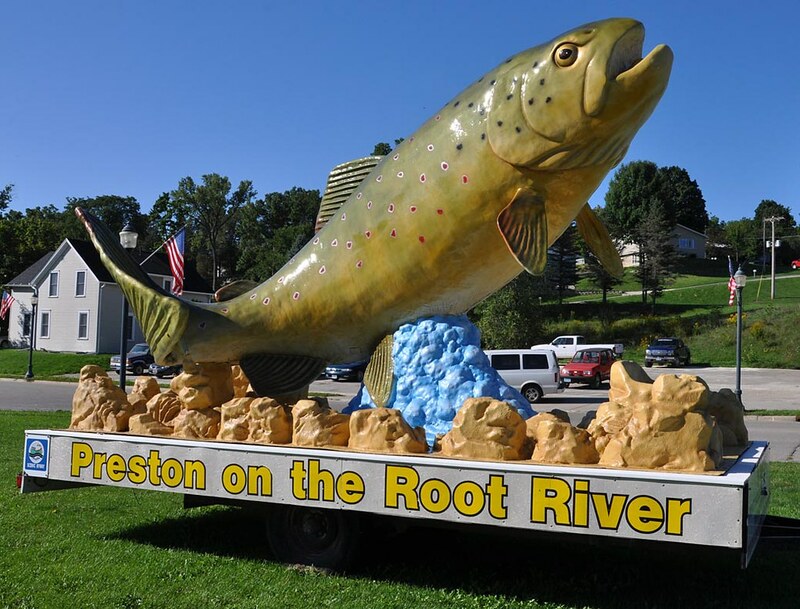 1,325), which calls itself America’s Trout Capital. Preston’s former jail, sheriff’s residence, and courthouse (built in 1870) is now the Jailhouse Inn Bed and Breakfast. The jail relocated in 1970. Mystery Cave State Park is just west of Preston. The town of Harmony (pop. 1,020) and the surrounding area have the largest Amish population in Minnesota. 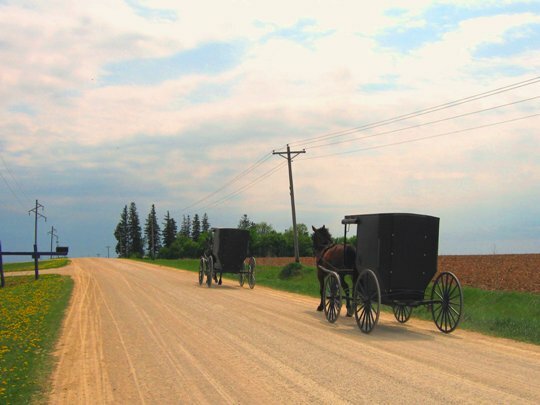 Many Amish moved from Ohio to Minnesota in the 1970s. In Spring Valley (pop. 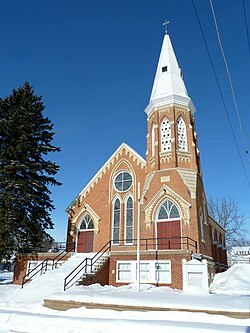 2,479), the former Methodist Episcopal Church is now a Spring Valley Community Historical Society museum. Laura and Almanzo Wilder attended 1890-91. The town of Fountain (pop. 410) is the western terminus of the Root River segment of the 60-mile Blufflands State Trail. This entry was posted in Minnesota and tagged Blufflands State Trail, Chatfield, Fillmore County, Fountain, Harmony, Mystery Cave State Park, Preston, Spring Valley. Interesting! I love the Jailhouse Inn. Interesting that it was the sheriff’s residence as well as the jail. The cave also looks like fun, as does the trail. I remember going to Mystery Cave as a child. It was a big thrill. Now you couldn’t drag me into it–I’ve totally lost interest in caves though they once held a real fascination for me.